In 2007 Nintendo gave gamers something that many have been clamoring for ever since Sega went out of the hardware business: a game featuring two of gaming’s greatest icons: Mario and Sonic the Hedgehog. Think about it; two of gaming’s most iconic characters in the same game. It’s like a dream come true. 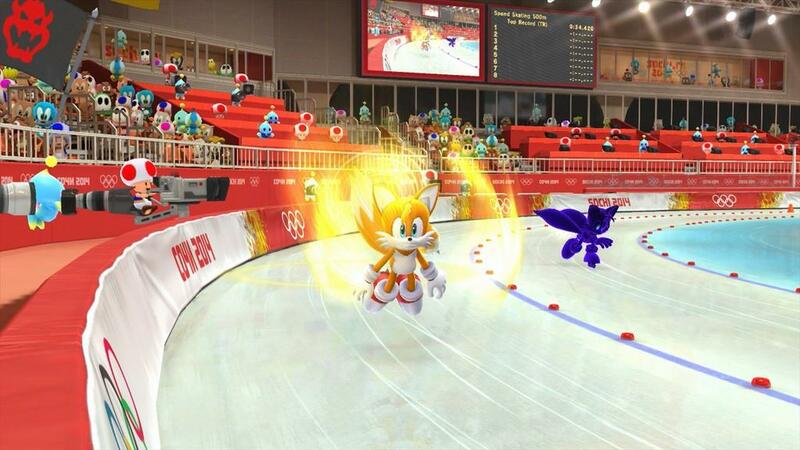 However, that game wound up being Mario & Sonic at the Olympic Games. Over the past several years we’ve had four iterations of the series, basically whenever some form of Olympic Games comes around. 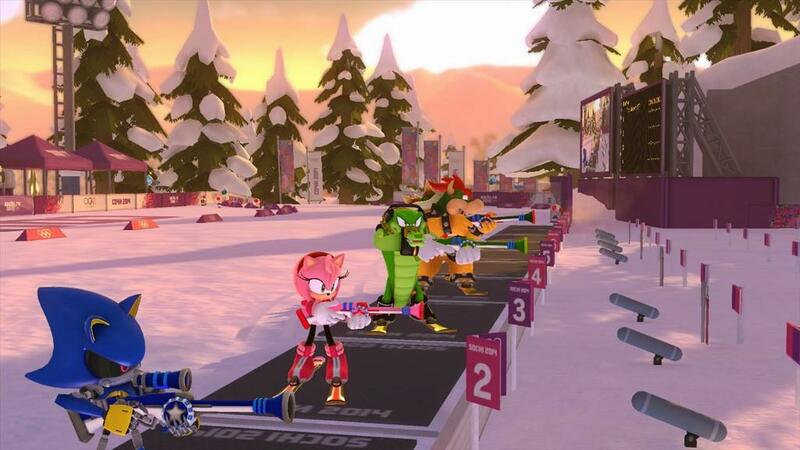 We’ve had two iterations of the summer Olympic Games, and now we’re up to the second game in the winter Olympic Games and the first for the Wii U. How does the game hold up? 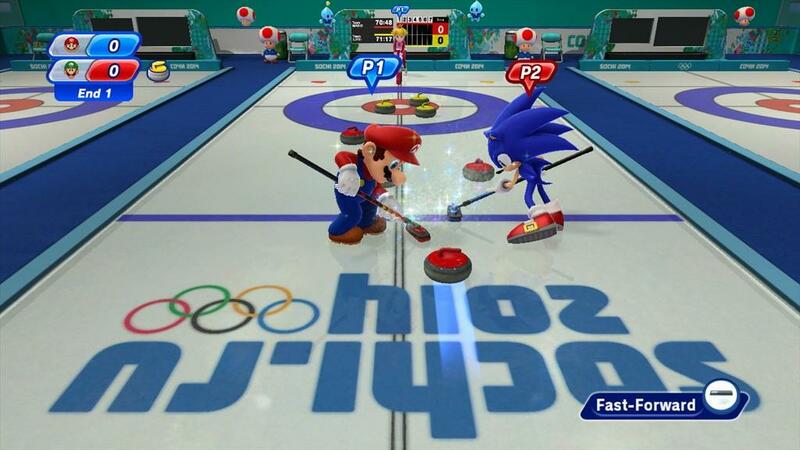 Let’s find out as I take a look at Mario & Sonic at the Sochi 2014 Olympic Winter Games…kind of rolls right off the tongue, huh? 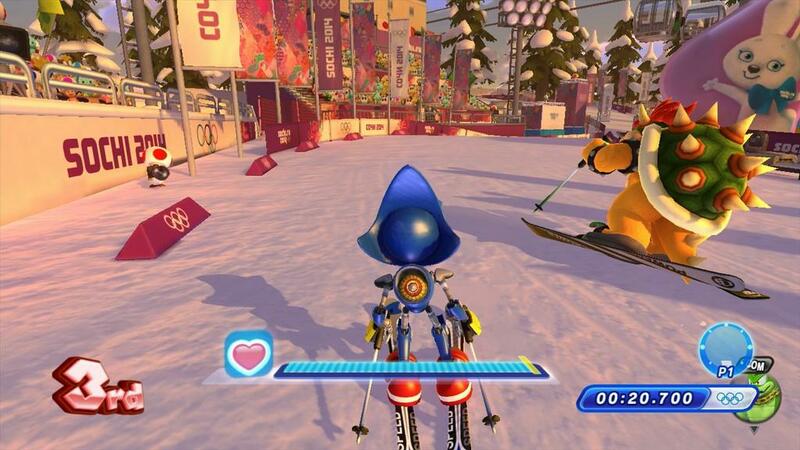 Mario & Sonic at the Sochi 2014 Olympic Winter Games is a collection of events like its predecessors. In this case there are eighteen events: ten “normal” winter Olympic events and eight “Dream Events”, which are events that couldn’t possibly take place during a real Olympic Games such as Snowball Scrimmage and Bullet Bill Sledge Race. You can play these events either in single sessions, via Medley Mania where you can either pick a preset collection of up to five events or create your own medley of up to five, or Legends Showdown where you’ll participate in every event in one go. There’s also the Action and Answer Tour which puts a new spin on the events, and finally there’s the Worldwide Vs. Mode where you can compete against players all over the world, just like an actual Olympic Games. Medley Mania has you choosing from several pre-set medleys of events that typically have something in common, such as a character or theme. 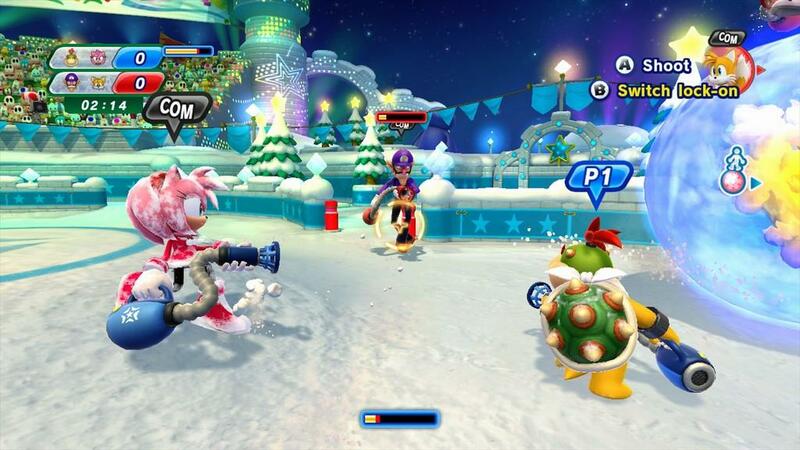 For instance, the Ice Stage Medley is all about the Ice Skating events while the Teamwork Medley incorporates events based around working as a team. The Single Event Mode lets you choose any event and any competitor in an attempt to take the gold medal and even set a Friend or World Record in that event. This is nice for when you want to get a handle on how various events work since you can view a tutorial for each event. The Action and Answer Tour is a four, six, or eight round event that will give you a random event each round, but puts a bit of a twist on it, such as collecting panels to reveal a silhouette of a character or guessing which piece is missing from a larger picture of a character. The better you do the more points you earn. Finally there’s the Legends Showdown which is pretty much the career mode of the game. The twenty competitors are broken up into five groups of four to tackle various events, but as they prepare to do so, a group of shadow clones emerge to challenge you. After picking your character for an event you have to basically beat their best time. You may also get an opportunity to take on a friend AI opponent, which can prove to be harder than you might think, as I’ll get into below. I’m going to start this part of the review off a bit differently than my last couple of reviews and talk about what bothered me first. The first thing I noticed while checking out the various events is that if you don’t have a Wiimote, you won’t be playing about half of the events. That’s because out of the ten Normal Events, only a couple do NOT require the Wiimote in some fashion. 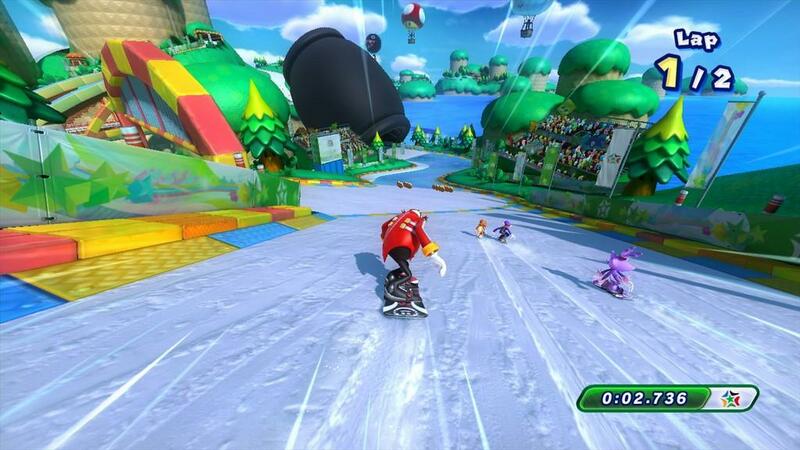 A couple of the events do use the Game Pad, such as Snowboarding, but the rest all require using the Wiimote. Given that the Wii U normally doesn’t come with a Wiimote bundled with it unless you get a special promotional bundle, nor have I seen a Mario & Sonic 2014 bundle with a Wiimote, this is kind of detrimental. Granted a lot of people may already have a Wii, meaning they have Wiimotes and nunchucks, but if you’re getting someone a Wii U and this game for Christmas and don’t pick up a Wiimote, that cuts out about half of the game. Not a great idea. Speaking of controls, as I alluded to in a recent Now Playing post on the main page, the controls range from incredibly simple to frustrating…though I didn’t quite put it like that. The controls, especially for the Wiimote, are simple for the most part. Some of the frustration comes in that sometimes it’s easy to over correct yourself in some events while in others it may not register various movements. 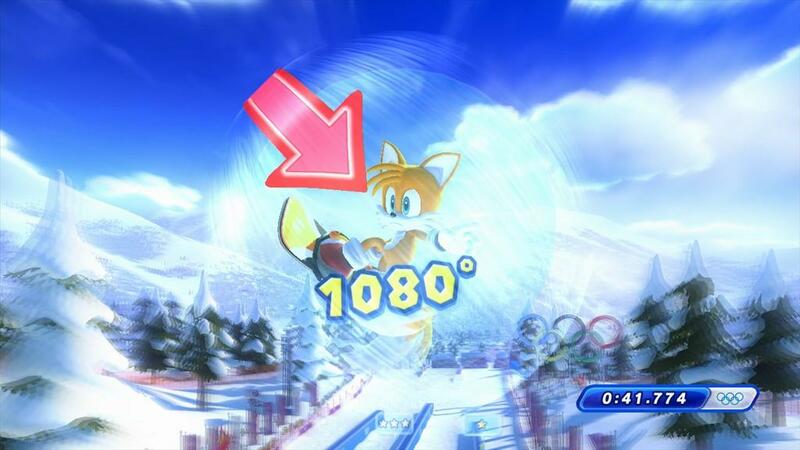 For instance, in any skiing event you rotate the Wiimote left and right to steer, even in the air. Until you play the event over and over again it can be rather easy to accidentally over steer yourself in one direction, and then when you try to tilt back to correct yourself you overdo it then, and then it just becomes a panic. With Ice Skating the game requires certain movements, like moving the Wiimote quickly in the air to jump, but I swear half of the time it had issues detecting me moving it upwards and I “missed” my jump (the jump would still happen, but it would count as a miss and I wouldn’t get any points for it). It also didn’t help when a couple of events had you switching control schemes in the middle of the event. I’m not joking. The Biathlon has you skiing for a bit with the Wiimote (some of that uphill…ever ski uphill? Not a pretty picture), then switching to the Game Pad for shooting at targets, then back to skiing, back to shooting, then finally back to skiing to finish things off. All the while the game is still going as you take off the Wiimote (well, if you use the wrist strap) and pick up the Game Pad, then back again. It wasn’t terrible, it just felt unneeded. It would have been a lot better if you could just use one control scheme for the entire thing. As for the events themselves, some of them were okay (I’ll get to my favorites in a bit), but others, like the Biathlon, are just either frustrating for one reason or another or don’t really have much involvement. Speed Skating actually nails both aspects. Several events actually have two or three variations. For instance, Speed Skating has 500m and 1000m Short Track, the former has you making one big lap while the latter has you doing several smaller laps. With the 500m all you have to do is…and I’m not joking when I say this…swing your arm from side to side. Seriously, it’s almost like we’re “doing the Mario” in a certain rhythm for those who get that classic reference. As for the 1000m, the controls are completely different, but the frustrating part is that, like with just about any racing event in the game, since the camera is from a behind-the-shoulder perspective, if an opponent gets right behind you it can block your vision, making things harder for you since you can’t quite see where you’re going. This is especially painful when you’re trying to find the boost lanes to help get you ahead of the race. Finally, there’s the Legends Mode. This sounds like an interesting idea, but it’s plagued by one little thing: the friend AIs. 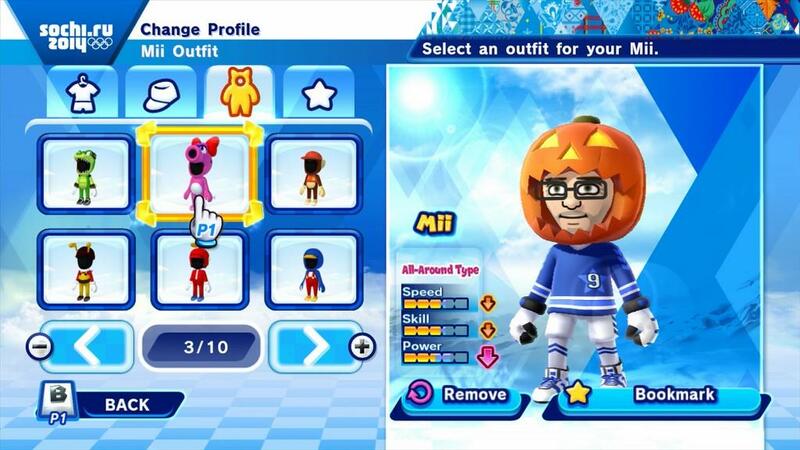 In each event you have to beat your character’s shadow clone that has a set time to beat, but you may also get a friend’s Mii to compete against you. I’m not sure if the Mii’s time is set by the game randomly or if it’s a time that your fiend actually achieved in the game, but if it’s the latter it can really tilt things in your opponent’s favor. Case in point, I had to do 500m Speed Skating against a friend AI and after a few tries and almost getting as close to perfect as I could, I still couldn’t beat the time. I’m not saying it’s impossible or that I don’t like a challenge, but this is only the second event of the entire mode. If more friend AIs are introduced I’d hate to have to challenge them on my worst events, let alone one of my best. While the things that bothered me about Mario & Sonic 2014 are pretty big issues at times, there’s still quite a bit to like about the game. The amount of events and characters is pretty good, with eighteen events and twenty competitors not counting Miis. The competitors are split between the Mario and Sonic universes with ten characters from each, including characters such as Wario, Bowser Jr., Silver, and Metal Sonic. As with other competition-style games each character has their own strengths and weaknesses. The events are split into Normal and Dream events. The Normal Events are your standard Winter Olympics fare with events such as Ice Skating, Snowboarding, and Alpine Skiing. The Dream Events give you things such as Snowball Scrimmage, Hole-In-One Curling, and a Bullet Bill Sledge Race. These are kind of fun as they’re things you’d only see in a video game for obvious reasons. I highly doubt you’ll see curling mixed with golf, or at least where one person is riding on the curling stone itself. My favorite event types in the game are the Snowboarding events. While the steering can be kind of iffy at times, the response is generally pretty good. It’s simply tilting the Game Pad to steer, speed up, and slow down, but it feels quite a bit more responsive than other events. While it feels like there’s a slight delay with the jumping and whether it registers a perfect jump or not, this is one of the few normal events that I actually enjoyed without something getting in the way of my fun. As for the Dream Events, these are actually pretty fun. While some are really simple, there’s still quite a bit of fun to be had, though if you’re just playing against the AI, even on normal difficulty, some can be quite easy. Still, I really enjoyed the Snow Day Street Hockey and Groove Pipe Snowboarding events. The former is an interesting take on Ice Hockey while the latter kind of reminds me of what Mario Kart would be like for snowboarding without the items. If they did throw items in, that would have been awesome. Overall, I don’t think Mario & Sonic 2014 is that bad. Granted the controls can range from simple to frustrating within the same event, but the selection of events is pretty wide and the Dream Events can be fun. I didn’t mention the Action and Answer Tour in either of the above sections as I wasn’t really bothered by it, but didn’t love it either. It’s simply adding a couple things to existing events, which are chosen randomly in the A&A Tour. It’s also nice that you can unlock multiple music tracks from the Mario and Sonic universes and use them during the events. Trust me, there’s nothing like bobsled racing through a city while listening to City Escape from Sonic Adventure 2. 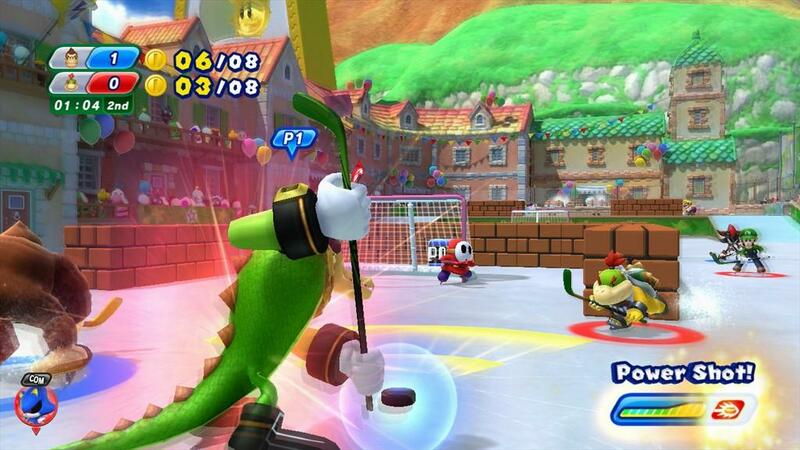 Mario and Sonic 2014 can be fun at times and can also be frustrating at times. The events where the controls are decent are actually pretty fun and I’d imagine they’re even better when playing with friends. The events where the controls are iffy can take some of that fun away. There’s also the annoyance of a Chao interviewing you and getting your picture taken whenever you win the gold in an event while in the Single Event mode since you can’t bypass it…at all. Still, I wouldn’t say it’s as bad as people make it out to be. 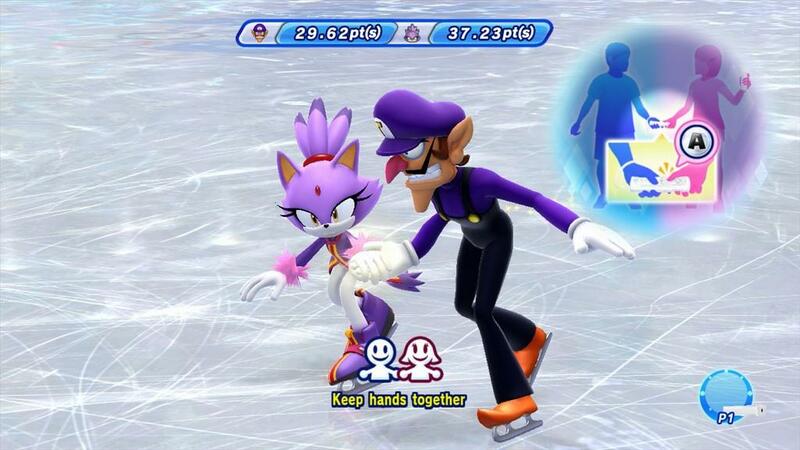 Mario & Sonic at the Sochi 2014 Olympic Winter Games isn’t all that bad, but it’s not great either. The controls for a lot of the events are iffy at best, but there are events that are still enjoyable, especially the Dream Events. This is one where I’d check out the demo or rent it first to see if you like it before plunking down $50 for it.